Search all homes for sale and real estate listings in The Woodlands Harper's Landing Texas below. Home buyers will appreciate The Woodlands Harper's Landing for its quiet environment, exemplary schools and master planned neighborhoods with sought-after amenities. Home prices range from the mid $100s to over $4M, with median prices in the low to mid $500s. 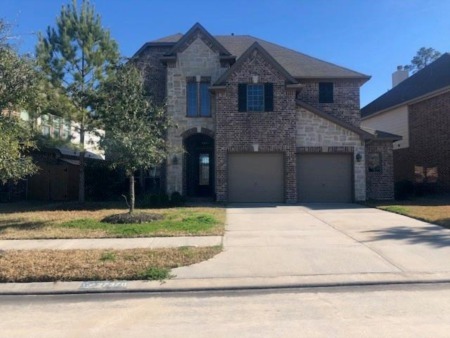 For information about The Woodlands Harper's Landing TX neighborhood properties for sale or to schedule a private home showing, contact your Texas real estate experts for The Woodlands Harper's Landing Texas today. And, if you haven't already, be sure to register for a free account so that you can receive email alerts whenever new homes for sale in Harper's Landing come on the market. Want to purchase a home in Harper's Landing? Call Us at (713) 401-1886. Your Harper's Landing expert REALTORS® and agents are here to help with the The Woodlands Harper's Landing TX housing market. In 1964 George P Mitchell purchased The Grogan Cochran Lumber Company's land including 2,800 acres that would become the first piece of The Woodlands Harper's Landing Texas' property. In the course of 300 transactions, an additional 17,455 acres were obtained. In 1974, The Woodlands Harper's Landing Texas celebrated its Grand Opening with its unveiling of The Village of Grogans Mill. The early 1980s brought in major companies like Eckerd Drug, and the Houston Advanced Research Center constructed its first building and announced a plan to develop a research campus establishing Research Forest. The 1990s saw a great growth with the addition of The Cynthia Woods Mitchell Pavilion, Town Center, and the opening of The Woodlands Harper's Landing Mall. Though it began as an exurban development and a bedroom community, it has also attracted corporations and has several corporate campuses, most notably Chevron Phillips, Anadarko Petroleum Corporation, Huntsman Corporation, Woodforest National Bank, Baker Hughes, CB&I, McKesson Corporation, Aon plc, Maersk Line, Safmarine, GeoSouthern Energy, ExxonMobil, Halliburton and SWN or Southwestern Energy Company. It won a Special Award for Excellence in 1994 from the Urban Land Institute. The Woodlands Harper's Landing Texas is known for its quiet environment, exemplary schools and master planned neighborhoods with sought-after amenities. Home prices range from the mid $100s to over $4M, with median prices in the low to mid $500s. WHERE IS The Woodlands Harper's Landing TEXAS LOCATED? The Woodlands Harper's Landing Texas is located 30 miles north of Houston along Interstate 45. It is bordered on on the north by Conroe Texas, on its east by Spring Texas, and Magnolia Texas to the west. 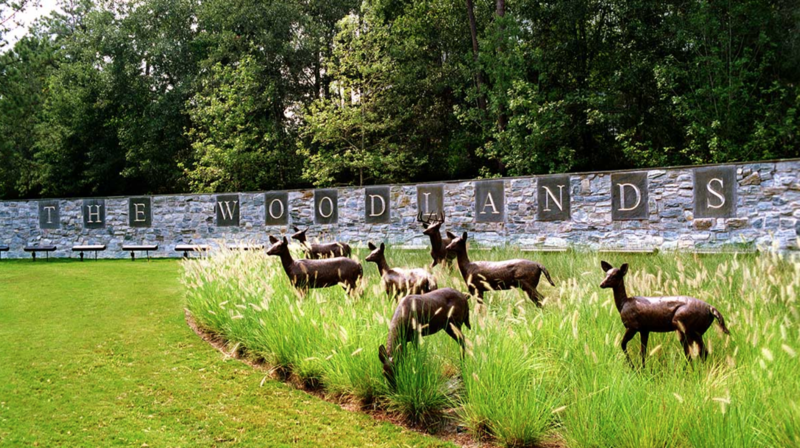 The Woodlands Harper's Landing is a master-planned community in the state of Texas. According to The Woodlands Harper's Landing Development Company, the population was 107,769 as of a January 2014 estimate, an increase of 93.7% over its population of 55,649 at the 2000 census. There are over 120 parks in The Woodlands Harper's Landing and some 200 miles of pathways (and growing) that wind through and around the Villages of The Woodlands Harper's Landing. Each Village has a half-dozen or more parks with the exception of the newest Village, Creekside Park. Creekside Park, currently under construction, is already home to two parks as well as the most extensive public waterpark in The Woodlands Harper's Landing, The Rob Fleming Aquatic Center. With Hughes Landing, Market Street, and The Woodlands Waterway, there is no shortage of shopping and dining in The Woodlands Harper's Landing Texas. The Woodlands Harper's Landing Texas also is the home to the Cynthia Woods Mitchell Pavilion. A popular venue for artists of all genres, the Summer home for the Houston Symphony, and Home Away from Home for the Houston Ballet. Thinking of buying or selling your home in The Woodlands Harper's Landing Texas? Let our expert The Woodlands Harper's Landing real estate agents help you navigate the path to new home ownership, or to negotiate the quickest home sale possible. As local REALTORS® experienced in working with buyers and sellers in The Woodlands Harper's Landing Texas, we're well-versed in the market dynamics unique to The Woodlands Harper's Landing TX real estate market. Contact us today to discuss how we can help!